John Stevens is the principal of the Practice. 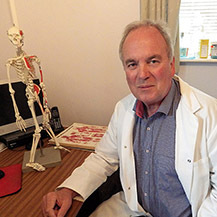 He qualified in Osteopathy at the European School of Osteopathy in 1976. After graduation he worked as a junior lecturer in Anatomy and Osteopathic Technique, later lecturing in Neuroanatomy and Clinical Neurology and was instrumental in developing the neurological department over the following fifteen years. He is a very experienced clinician holding a specific interest in Neurology and problems of ageing. Integrating Osteopathy into the NHS. He has worked with and mentored numerous people in his own practice from junior osteopaths and acupuncturists to massage therapists. He has developed a thriving practice as well as worked in partnership in an expert witness role dealing with motorcycle accident victims liaising with their lawyers and insurance companies and participated in a number of criminal cases. 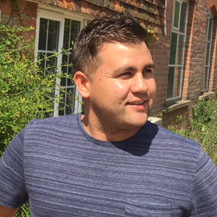 Hamish Startin is the new Physiotherapist at the Coach House Clinic Tenterden. Bringing a deep knowledge of anatomy and physiology resulting from degree level study in Sports Therapy and a further MSC in Physiotherapy, Hamish offers clients highly professional, caring and effective physiotherapy. Hamish has extensive experience in a variety of health specialisations. His work at a private sports clinic supporting New Zealand representative athletes provided a deep understanding of adult and paediatric sports injuries. His client focussed approach and easy, approachable manner are key factors in helping his patients recover, rehabilitate and achieve their full potential. 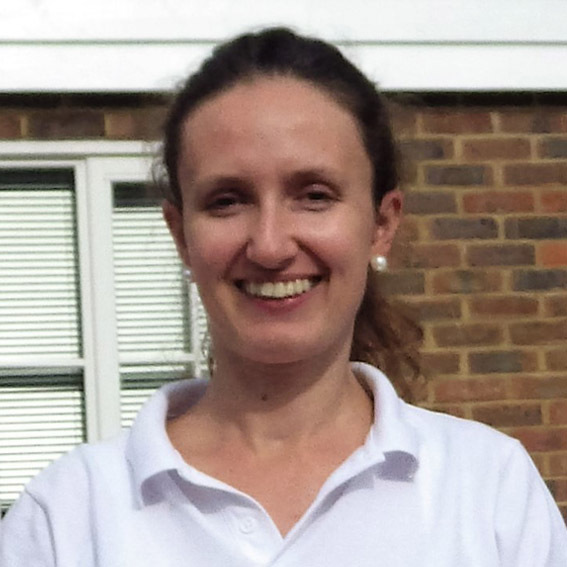 Izabela is our Polish trained physiotherapist, she provides sports and therapeutic massage. At present she is awaiting placements to get her HCPC recognition so that she can register in this country. She brings with her the great tradition of Eastern European rehabilitative physical medicine. She is a great asset to us. Acupuncture is an ancient system of healing developed over thousands of years. It is now widely used and accepted all over the world. The theory of acupuncture is based on the principal of ‘Qi’ which flows through our body in channels called ‘meridians’. Acupuncture stimulates points on the meridians to activate the body’s own natural healing abilities and works by balancing the whole body and mind. An acupuncture treatment focuses on the individual person and not just their illness or condition, all symptoms are seen in relation to each other. Two people with the same Western diagnosis are likely to receive different acupuncture treatments. People often seek Traditional Chinese Acupuncture for conditions such as Chronic Fatigue Syndrome, Migraines and Headaches, IBS, Stress and Anxiety, Women's Health. 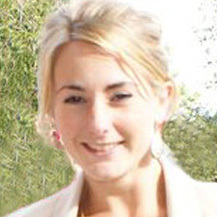 Aimee-Faith Jones graduated from Oxford Brookes University with a Masters degree in Osteopathy, she is registered with the General Osteopathic Council and a member of the British Osteopathic Association. She also has additional qualifications using cranio-sacral techniques, Acupuncture which was completed with the British Medical Acupuncture Society and has an ITEC in remedial massage. 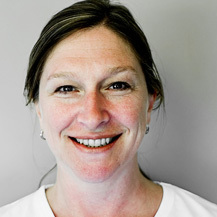 Aimee’s diagnostic and subsequent treatment approach is based on biomechanical knowledge and due to her diverse treatment modalities allows her to specify a particular treatment programme that is unique to the individual and caters to their complaint. Aimee has had a long standing interest in sports injuries and having always competed in equestrian activities can understand the disruption an injury can cause; be it sports related, postural compensations or repetitive complaints; these are just a few of the common problems that are seen in practice. Her passion for animals and particularly horses lends itself for further opportunities within the profession, were she would ultimately hope to become an equine Osteopath and divide her time between both human and horse!